Let’s look at the many double glazing benefits. In fact, most European countries including countries including the Soviet Union because of the cold climate all have double glazed windows. In fact, we have insulated homes for some people from these countries, and they have all mentioned that they could walk around in the house with minimal clothing. A lady in Durbanville insists she has never felt the cold like she has in South Africa. Why is this you may ask as these countries can achieve temperatures in -20 degrees celsius category. We then looked into this and discovered an essential part of the puzzle roof insulation and double glazed windows. And this benefit will be felt in summer as well as in winter. Double Glazing benefits in its most primitive form have been around since the early Victorian times. More than a century ago the primary benefits of having two panes of glass were appreciated. However double glazing was not conventional and very much something only the wealthy or eccentrics of the time installed. As a result, the benefits of double glazing have not changed, but improvements in design and manufacture have added further value to what we now know as double glazing. Today modern materials such as uPVC and aluminium combined with improved handles and locking mechanisms make double glazing something any South African home or commercial property owner should consider seriously. This application is far more energy efficient. Improve temperature in the home substantially in summer and winter. As a result, lowering the need for heating and cooling. 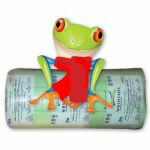 Reduce noise pollution in the home. Homes with Double Glazing for windows as well as Roof Insulation will be healthier and more energy efficient. Therefore reducing the need for heating and cooling gives global warming a boost. Safer from a security point of view. Insulation of your home or commercial property is something that should take priority, and one of the double glazing benefits is its extraordinary insulation capabilities. Two panes of glass in a well-manufactured frame fit tightly into space where a window needs to go. Modern materials ensure an airtight fit, especially with uPVC frames, that conventional windows cannot match. The two panes of glass trap warm air in and stop cold air coming in and vice versa. A well-insulated property brings with it many cost savings that ensure any capital outlay is soon paid back with interest. 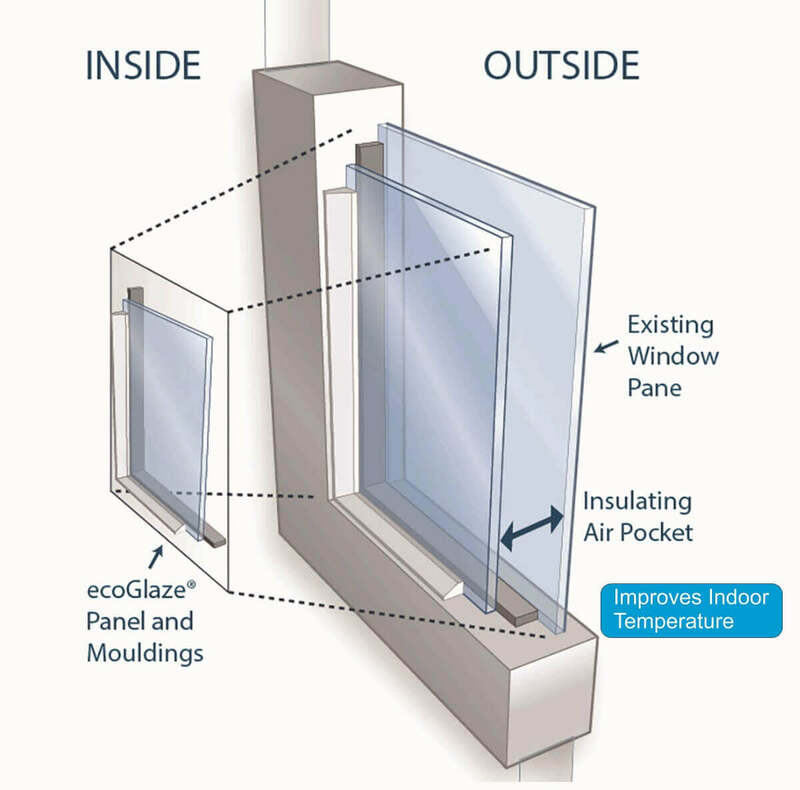 Double glazing benefits must be part of an overall insulation solution. South Africans have all been asked to conserve energy and reduce reliance on electricity. Among the benefits of double glazing is that it plays a useful part in helping save energy. As part of an overall insulation solution double glazing keeps properties warmer in winter and Cooler in summer. As a result, improving the climate in the home or office, the need for heating and air conditioning is significantly reduced. This reduced use of appliances reduces the demand for electricity. The reduced demand for and use of electricity brings a reduction in energy bills, and this saving soon pays for the windows. 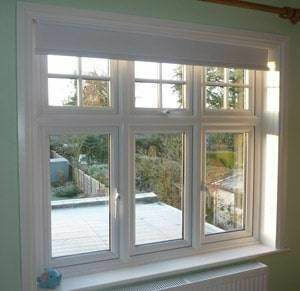 The energy saving makes double glazing an environmentally friendly insulation product making homes and offices greener. Modern double glazed solutions are low maintenance. 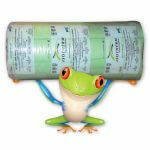 Manufactured from materials that can withstand the harsh weather and other climatic elements. Similar to South Africa and has uPVC and double aluminium glazing reduces the time, effort and cost of maintenance. Coupled with low maintenance a further benefit of double glazing is the longevity of the product. Double glazed solutions often come with warranties and guarantees that are more than double that of conventional windows and frames. Double glazing becomes a long-term investment that any home or commercial property owner will soon begin to reap many financial rewards as a result of this energy saving. Wooden framed windows need repairing or revarnishing every 12 months or so, the wood can rot, and of course, wooden frames are not good insulators. The old putty, pane, and frame solution more than meet its match with high-quality double glazing. One of the major benefits of double glazing is its ability to block out the noise. In built-up areas, areas near factories, airports or highways noise is a big problem. Back in the early days of promoting double glazing in the United Kingdom, the sound reduction of double glazing was a significant selling point. One of the larger double glazing companies, Everest, pushed the point to the extreme in its television advertising by using a helicopter landing and then closing the window. Therefore, closing the window in this demonstration shows the noise drop. Noise reduction double glazed benefits lead to more comfortable living conditions for people living in noisy areas. In commercial buildings, the noise reduction from double glazing will make working conditions better and see happier more productive staff. With a double glazed window solution noise pollution can be reduced by up to 60%, in very noisy areas such as by busy highways, railway tracks, and airports this is a significant reduction in noise. 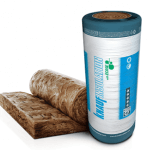 In fact, double glazing with roof insulation products like 135mm Aerolite installed in a double layer will give an NRC 2.2. In South Africa, home and building security is a priority for everyone. Burglar bars, perimeter fences with electric wires all linked to alarms, and an armed response is commonplace. Modern double glazing can play an essential role in securing your property. High-quality double glazing has gas pumped between the two panes of glass that creates pressure vacuum. This pressure makes the window tougher and stronger and very difficult to break. Combined with the added strength double glazing systems come with advanced locking mechanisms. For those who want to leave a window open for some air, some systems can be locked in an open position and again are very strong and difficult to break. Double glazing won’t prevent a break in, it would be foolish to claim so, but it will increase the time taken to break in and improve the frustration of anyone attempting to do so. Although not typical, some insurance firms do take note of double glazing and in some cases will reduce a premium slightly. Even in if your premium is not reduced the benefits of double glazing as part of your security are immeasurable and make a compelling reason to consider installing them. On older properties in particular condensation that leads to mould is a problem. Damp and mildew can become a health hazard and is difficult to get rid of in the home. With double glazing, build up of condensation, is prevented from building up on the window panes. 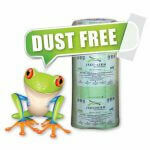 With no condensation build up damp is reduced significantly. Damp also rots frames and is a reason why many conventional windows need almost constant maintenance that can become costly. In fact, the double glazing with Roof insulation will reduce condensation substantially as there will be a substantial reduction in cold air entering the home. The harsh sunlight in South Africa causes carpets and soft furnishings to fade. UV light levels in South Africa, especially in summer, are high and UV eats into the fabric and other materials such as wood causing it to yellow or fade. An unexpected benefit of double glazing is that it reduces interior fading considerably by merely filtering out more of the harmful UV rays. In the past, Double Glazing did not look pretty and was somewhat dull and boring. Today double glazing has evolved, and a great deal more creativity has gone into how it looks. Visual appeal for many is a reason why they stick with or choose a particular type of window. With double glazing today there is a wide choice of designs and windows can also be custom made. As a result, you get all the benefits of insulation and security while retaining the visual appearance of your home. The design of double glazing has come along so far in recent years that there now solutions that can work with buildings that have a strict style or building controls such as listed buildings. 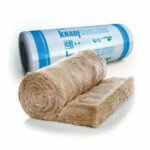 Good insulation brings measurable long-term savings with it. Less use of appliances and better insulation combined bring savings on energy bills are visible quickly. A further benefit that comes from installing double glazing is that the value of your property can increase. Double glazing like any form of insulation should be considered as an investment in any home. More and more homes now have double glazing fitted at the time of construction. In fact, savvy homeowners have installed double glazing units if not throughout the entirety of the house at least in part and values of these homes are higher than those with conventional windows. Double glazing is becoming a sales feature and a negotiating tool when buying, selling and renting property. 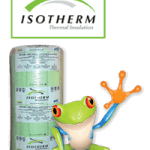 The is the 145mm Isotherm with the R-value 3.70 when installed comes into play with the windows. The 135mm Aerolite with the installed R-value 3.78 is also perfect to reduce overall energy consumption. 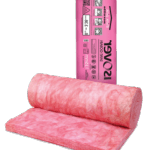 For more info on the specifications of this insulation read this page. There are many benefits to installing double glazing. However, the product still struggles to gain the attention and traction it needs to be the success it can be in South Africa. As to why double glazing not as standard as it should be? The first reason for the slow uptake of double glazing is cost. Double glazing is a little more than double the cost of conventional glazing. In fact, the capital outlay deters many people from considering it. However, in the current economic climate where home and property owners are being asked to use less energy one should take a longer-term look at double glazing. Reduced energy bills can soon pay off the investment in double glazing and double glazing as part of an overall insulation solution will invariably see a return. Double glazing will adequately pay for itself when considered as a value rather than cost. The benefits of double glazing are not widely known. Most people assume double glazing is for colder climates such as in the UK. However, as the benefits outlined above show they can equally work in South Africa. Australia, for example, has seen a growth in double glazing. In fact, the Australian climate is not far different from that of Southern Africa. Once people know and understand the benefits of double glazing uptake will begin to grow, and this may see costs come down. As with any insulation, there are stories of things going wrong. There are disaster stories of poorly fitted double glazing all over the world. In fact, in the early days in the UK, there were a large number of “cowboy” double glazing installers that gave the industry and the product a bad name. These stories can be offputting but installing with a reputable provider of double glazing should see, and first class product fit perfectly. South Africa has a growing number of qualified, experienced and reputable double glazing providers. Overall Double Glazing is a product that will have to become more popular in South Africa as part of the continuous drive to save energy. As uptake and installations increase some aspects of price will come down. Double glazing must form part of an overall insulation solution. And this will be with the added benefit of noise reduction and security for it to make absolute sense. For homeowners who want to save on energy loss and improve the impact of Climate Change, this is the way forward. If you are not sure, talk to someone in South Africa who has installed it, and they will sing the praises of the solution.